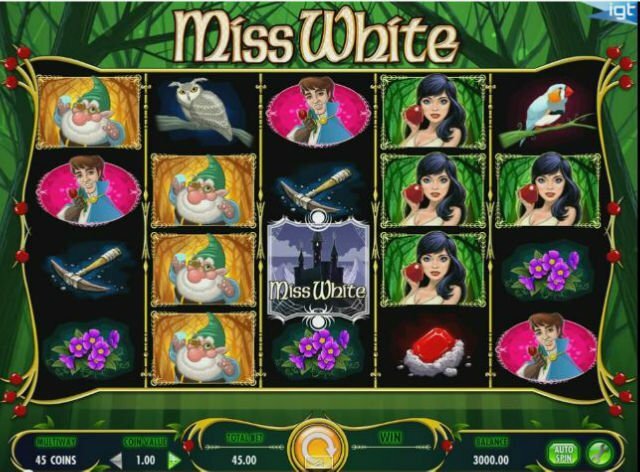 In this Miss White Slot review, you will learn that this thrilling IGT mobile video slot, based on the fairy tale “Snow White”, is one that gives you 1024 ways to win! With 5 reels and low volatility, Miss White will charm you with not only her fair features, but also with different game bonuses. 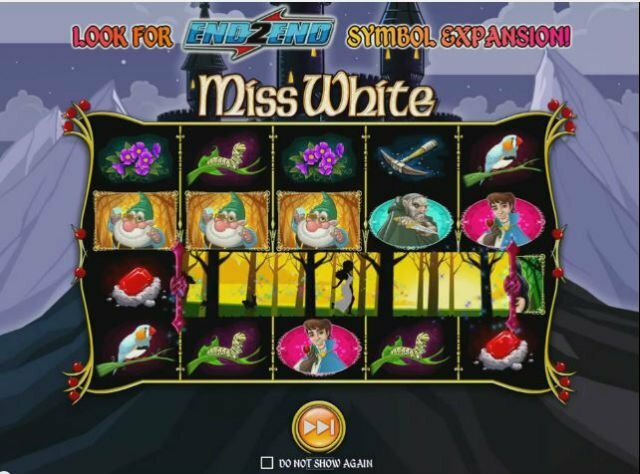 As soon as you start to play the Miss White slot machine you will quickly be reminded of the fairy tale on which it is based. The brightly colored cartoon reels are displayed on a black backdrop. There are images of the Prince, Miss White, dwarves, the apple, the witch, a castle, and so on. Experience an adventure that can lead to a happy ending with you enjoying several wins. Trigger free spins and the End2End feature, which can multiply your bet up to 20 times when the Miss White and Dwarves symbols expand. Miss White slot bonuses include the End2End feature and the Magic Mirror Free Spins Bonus. The End2End feature is triggered when two Miss White or two dwarf symbols appear in the same row. The symbol expands and covers the reels in the same symbol. 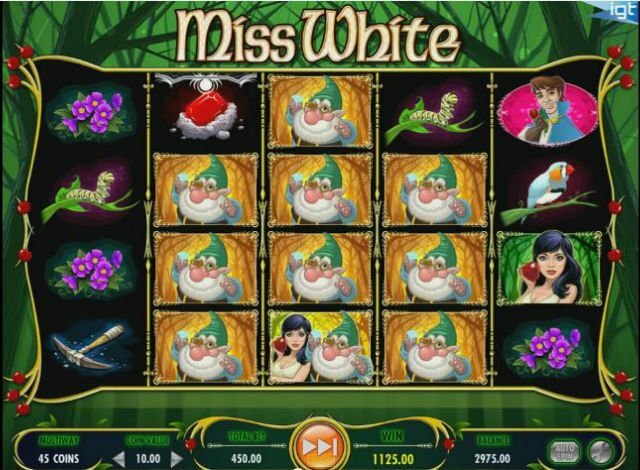 When the free spins are activated, the Miss White and Dwarf symbols become one symbol – the DwarfWhite symbol, which makes it easier to score winning combinations. The Magic Mirror Free Spins Bonus is triggered when 3 scatter symbols appear on reels 2, 3 and 4. You will be presented with a selection of apples in what appears to be a Miss White fruits game. Bite into apples and win anywhere from 5 to 15 free spins that you can retrigger as many as 280 times.